With winter temperatures that are often below freezing, or even below zero, the heating system in a McCordsville home is invaluable. Any problems or breakdowns could quickly lead to significant discomfort, as well as possible damage to your home, and that is why it is critical to have an HVAC company you can trust to keep your heating system in peak condition. At Service Plus Heating, Cooling & Plumbing, you can count on us for all your heating needs, from simple repairs and routine maintenance, to system replacements. Our certified HVAC technicians have extensive experience with a variety of heating equipment, including furnaces, boilers, heat pumps, ductless systems, and more. We serve homeowners throughout the McCordsville area, from 96th Street to 600 North and beyond. To schedule HVAC services for your McCordsville home, contact Service Plus today at 317-434-2627! Our HVAC experts have the experience and equipment to find the cause of your heating problems quickly, and we can offer affordable, reliable repair options for most situations and budgets. Contact us today to schedule heating system repairs in the McCordsville area! We offer maintenance services by appointment, or on a recurring schedule. Contact us today to schedule a maintenance visit! At Service Plus, we can help you choose the best system for your needs and provide a fast, professional installation. For a quote, contact us today! 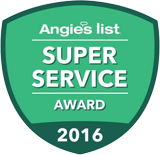 With our fast response, upfront pricing, and quality workmanship, you can trust Service Plus for all your heating, cooling, and plumbing needs in the McCordsville area.